In today’s world it’s important to make sure that your investments are kept as safe as possible, there are always changing occurring in the world, and one stands with much to lose should unfortunate events take place. 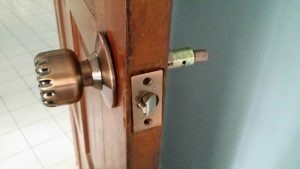 If you are unsure of how to best keep yourself safe from unnecessary risks at home or at work, you can always get in touch with the great and swift locksmith. To keep you as secure as possible training is continuously under way, as with so many other things, security is current and the importance of being up to date with the industry and the market shows through in the development of both tools and skills on the other side. Unfortunately today there are many who are searching for an easy shortcut to financial success though stealing, and as they become more innovative in their ways to acquire things which are not rightfully theirs, we must also keep diligent in our protection of those things. You can call swift locksmith at any time to find the help you need to keep safe against current threat. The trusted bunch know all about home and business security and are up to date with the latest. Not only do we do our utmost to keep current with developments in the industry but an eye is always on the lookout for a great deal for our customers. Come to the strong security locksmith with all your questions and requirements today. When it comes to improving the security of your home or business premises, you already know that there are a wide range of options available. For both domestic and commercial properties there exist very common lock and key based solutions, or more complex high-tech security systems such as CCTV. While those are just two examples, they give a very quick indication of the very different products available on the market. Over the years the security market has become saturated with excellent products. This means that there are more high-end products available at lower prices, thus passing the benefits on to the consumer. However, this increased competition and saturation of household brands such as Yale, Chubb and ABS has not be entirely beneficial. After all, with more choice comes the possibility of more confusion! It’s for this reason that your professional locksmith regularly tests all new products that enter the marketplace. 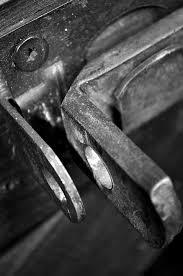 All our local locksmiths have years of experience of not just the industry, but working in the local area too. That means that all our professional lock engineers understand the common and complex problems that affect all properties within London. This is important when it comes to product testing as some of the problems that occur in other towns and cities simply do not occur in London and vice-versa. This means we can specialise our stock for London and are therefore prepared to tackle any problem big or small. Whenever a new product enters the marketplace, our locksmith has two questions on his or her mind. The first is whether this is a better product than something we already have in stock. The second is whether it is more cost-effective than something we already have in stock. By taking this practical approach, your swift locksmith can ensure that our vans are always stocked with not only the latest products, but the ones which represent the best value for money. We don’t believe anyone should be priced out of effective security and this ethos carries on throughout all our work. If for some reason we don’t have a particular product in stock that you require, we can discuss suitable alternatives or have the product ordered in within 48 hours and arrange an installation time at a later date convenient for you. The most important thing for the lands is to bring you what you need in the most convenient and comfortable way for you. 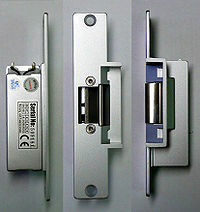 Recommended and used by many, the services available with the swift locksmith are simply great. Both in quality and in quantity. Great quotes and great home and business security deals which will keep you safe and sound no matter what. If you are interested in upgrading your security at home you can call us at any time, and you can of course call should you be in a difficult emergency lockout situation. Though all weathers the locksmith races to your aid, ensuring that the stresses caused by unexpected and unwanted situations are kept to a minimum. Call now, or save our number to never feel the dread and panic of being locked out without someone to call upon. Your swift locksmiths are ready for your call at all times, the tools and the knowledge needed to resolve your situation, in the bag, and an understanding manner which has seen countless people in the same difficult situation before. Never worry with your swift locksmith’s telephone number saved. Get in touch now, via phone or email to get your questions answered and your quotations made. Given the security situation as whole in the area today, keeping security in mind is becoming increasingly important, not only for businesses but also for private homes. This means that many who have never given a second thought to their locks at home are in need of devoting some thought to it. A challenging task, no doubt if this is your first meeting with the industry and the area. The number above will no doubt come in handy for you, should you situation be as, or similar to the described, as the apt swift locksmith are here to assist anyone searching for a better security situation for themselves. In calling now, the smiths here can help make sure that you and your home is not faced with unnecessary risks, and that all the common, easy to miss security faults that may occur in homes are covered. Protection is important, perhaps even more so if you have a family and a home which you have spent several years to obtain and build on. It’s recommended that a good security base in in place for all homes, and with a swift locksmith as the one here you will have at your disposal the skill, the knowledge and the products you need, in a swift and convenient fashion for yourself. Call now to find out how you can get the right security means put into place or to repair, maintain and upgrade what is already there. Of course your dedicated swift locksmiths are happy to answer all your questions and as we are always competitive on quotes, you will be guaranteed a great deal, so call now. Advice on security is best had from someone who knows the industry, and someone who knows what is current. Being with the times is especially important as risk projections are changing quickly, and without the right expert at your side, security products can be hard to tell apart. Swift locksmith sees the vast market and even with our recondite specialist knowledge it can at times be confusing to look at all the available products on the market. We are dedicated to you and products which are applicable, affordable and suitable for your home or work environment is always what we are on the prowl for when doing our regular scans of the market. The best security advice you can find today is simple and can be summed up in a brief sentence: Speak to your local security expert. Call the locksmith assistants to have an experienced and trained crew member at the end of the line at your disposal, ask your questions and get your security issues resolved at your own closest convenience. We recommend that you speak with us as soon as possible if you haven’t given your home or business security any deeper thought as of late. It’s important to stay up to date in the fast moving big city life today as burglars and thieves are growing more inventive by the day. Not to worry however, your swift locksmith is on the case and stock current and ready to install high security products, which you can have in place as soon as today, just get in touch now. The number to reach us you can find above, and as telephones are always manned you will find the help you need at any hour. The most common lock and key type that we meet with is the type that is attached to a door, it’s only logical, however we do get a variety of questions with regards to other lock types that we would like to give you some rough guidelines for when buying. 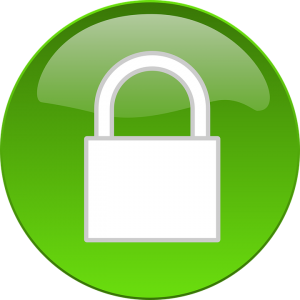 The locks we are speaking of is car locks, bike locks, padlocks, structure locking mechanisms, cabin and furniture locks, and much more. Although the locks differ substantially, both in design and mechanical workings, there are a few things which remain across the board. 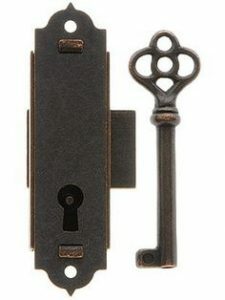 We think that generally there is a good reason for the lock, and generally there is a key. 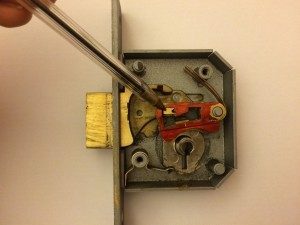 If you are buying a new lock of any kind, what you want to look for is approval stamps, and if you get the chance have a physical feel of the lock. As in try it, if you are in the shop, no doubt will you be able to test it, being a potential customer, so give it a little bit of violence and force, as to be able to feel the resistance of the metal. We advise you to trust your own instincts a little here, if your eyes and your hands are telling you that the lock is really not that sturdy or safe, just trust that intuition and keep searching. If you are stuck in the search you can always feel free to get in touch with us on for advice, and with a few different locks which are not for doors specifically is held in stock at competitive prices. So chances are that you will be able to pick up a recommended, approved and easy to use lock straight from us by passing any other retailers and a long and arduous search for it. A good lock is always worth it. Paying a little extra on the top may mean the difference between a crumpled, yet not bypassed lock and a shed emptied of all it’s valuable equipment. Speak to us now about locks and about your security. By putting a couple of great products up in the area of your residence you can increase not only the physical protection of the things you value the most, but you can also ensure that you can relax with a sense of equanimity and repose void of the worries with bad or non existent security brings with it. Although not having any security features in place the current would be seen as a great risk, especially if you have yet to check that your latch locks and deadlocks are up to date, it’s important to remember that you can have the flaw corrected today. We are on stand by for all jobs, and by calling now you can have the things needed to bring your home and your workplace to the security levels they should be at, and costs are set with you and competition in mind. Great deals and special offers are available for high security locks and alarm systems at all times here, but that doesn’t say that you can’t have any service that you require in an instant. All you have to do is call us who can bring fast help to your situation no matter what challenges it present. A close and thorough security inspection, inclusive of a full outdoor area survey and information on points relevant to you is an appointment worth making, one you can make now, and set for a suiting time later. With a locksmith keeping a great security standard is easy, get started today with your survey, or save our number have a conversation about your need when the spare minutes for it is found in your day.